Dad organised the Harley and trike tour Sydney Australia for when they came to Sydney on holidays. They are a French family currently living in Singapore and thought that while they are so close to Australia they should come for a holiday. Jungle, Craig and Phil picked them up at their hotel in the city. 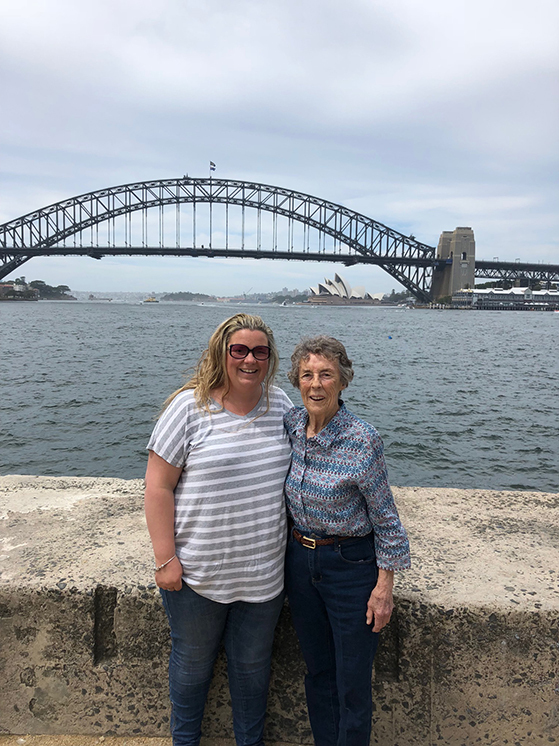 They drove them to Mrs Macquarie’s Chair, around The Rocks, over the Sydney Harbour Bridge, around the Kirribilli Loop to Luna Park. The ride ended at Luna Park so the family could continue their fun experiences in Sydney. The kids had a blast and the parents loved it too. 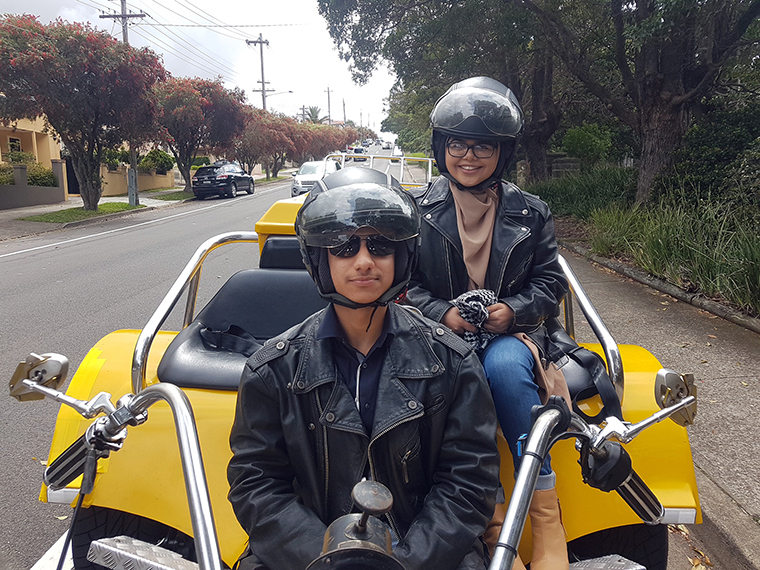 A Harley and trike tour Sydney Australia is a great way to see the sites and experience the adventure of a lifetime. We can use a mixture of Harleys and trikes or just Harleys or just trikes. It depends on how many passengers there are and how old they are. Just ask us for details, we’ll be happy to answer any questions.